Runners get underway in last year's marathon. The multi-platform coverage marks a significant milestone in the growth of the event, which returns to Newport on Sunday 5th May. Run 4 Wales Chief Executive Matt Newman said: “The decision to broadcast the 2019 ABP Newport Wales Marathon is a landmark moment for the event. The inaugural race brought runners and spectators from across the globe to the city of Newport, and they left with an unforgettable experience. 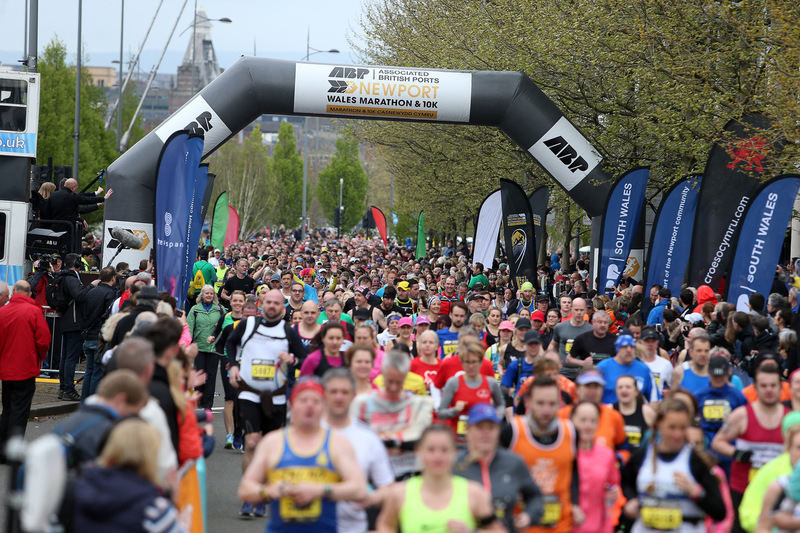 Matthew Kennerley, Director of ABP South Wales division, said: “Last year’s inaugural ABP Newport Wales Marathon announced our great city as a sporting hotspot to thousands of runners and even more spectators. Neath’s James Carpenter won the men’s race in 2018. Councillor Debbie Wilcox, Leader of Newport City Council, said: “This is fantastic news and will give the race, and Newport, a global profile. Last year’s race was a huge success and the support for the event, from runners, their families and friends, volunteers and residents who turned out to watch, was incredible. Runners with inspiring or interesting stories are being asked to come forward and share their stories, for a chance to star in the show, they can email the Run 4 Wales team at newportwales@run4wales.org.